Sign up to hear first about new products and special offers*. *Click here to see our current offers. Sorry, ModiFace is currently unavailable. Bye Bye Under Eye is rated 4.3 out of 5 by 706. Developed with plastic surgeons, this #1 best-selling*, award-winning waterproof concealer delivers highly pigmented, long-lasting coverage that won’t crease or crack—and is now available in 48 true-to-skin shades! Infused with proprietary Expression Proof™ Technology, plus anti-aging peptides, vitamins, hydrolyzed collagen, hyaluronic acid and antioxidants, this revolutionary concealer improves the appearance of wrinkles and effectively conceals the look of skin imperfections including dark circles, bags, redness, hyperpigmentation, broken capillaries, age spots and discoloration. Finally, a multitasking, full-coverage concealer that makes your skin look younger! *#1 concealer formula for IT Cosmetics brand in the US. IT Cosmetics partners with plastic surgeons and dermatologists to develop skin-loving solutions and clinically tested formulas. Clinically tested to make your skin look younger! Caprylic/Capric Triglyceride, Bis-Diglyceryl Polyacyladipate-2, Vp/Hexadecene Copolymer, Cetyl Alcohol, Silica Dimethyl Silylate / Silica Dimethyl Silylate, Microcrystalline Wax, Phenoxyethanol, Water, Niacinamide, Sodium Hyaluronate, Magnesium Ascorbyl Phosphate, Tocopheryl Acetate, Ascorbyl Palmitate, Retinyl Palmitate, Pentaerythrityl Tetra-Di-T-Butyl Hydroxyhydrocinnamate, Hydrolyzed Collagen, Cholesteryl Isostearate, Cholesteryl Chloride, Cholesteryl Nonanoate, Glycerin, Steareth-20, Tocopherol, Silica, Chlorhexidine Digluconate, N-Hydroxysuccinimide, Benzoic Acid, BHT, Potassium Sorbate, Palmitoyl Tripeptide-1, Chrysin, Palmitoyl Tetrapeptide-7. May Contain (+/-): Titanium Dioxide (Ci 77891), Iron Oxides (Ci 77491, Ci 77492, Ci 7749). Warm, tap, blend! Warm a tiny amount with fingers, tap onto skin and blend using your favorite IT Cosmetics brush. Can also be worn as a foundation. Using your IT Cosmetics Heavenly Luxe™ Dual Airbrush Concealer Brush #2, blend Bye Bye Under Eye around your eyes, nose and lips to instantly erase the look of imperfections. Set with Bye Bye Pores for a pore-blurring, shine-free finish that lasts! You tan easily in the sun, and gold jewelry makes your skin glow! The veins on your wrists look green. Both gold and silver jewelry flatter your skin! You can tan in the sun but sometimes burn. The veins on your wrists look blue and green. Silver jewelry complements your skin! You burn easily in the sun—and when you roll up your sleeves, your veins look blue. We’ve made it easier than ever to find your perfect shade of Bye Bye Under Eye by including an undertone indicator in each of the 48 shade names: W (warm) N (neutral) and C (cool). *Results observed in a consumer study. Rated 1 out of 5 by ADO1980 from Why change a good thing? I have been a dedicated user of this under eye cream and always recommended it to everyone. I don’t know what this new formula is but it is nowhere near as good as the old formula. I’m so disappointed because something that worked so well for so long has been changed to a cheaper version and now I need to find a new brand that offers the concealment that this used to be able to do. This new formula feels like a watered down version and doesn’t conceal anywhere near as well as the old. Rated 5 out of 5 by Alex Valadez from I bought my order a couple weeks ago and I love the product I received very happy. I can’t wait to try more product. I really like IT very much. Rated 5 out of 5 by ITgirlconvert from Best ever with the right brush! My concealer hunt is over. I have circles under my eyes and some fine lines. This concealer is actually moisturizing and doesn’t dry me out. It has great coverage and a little goes a long way. At first I was put off the thickness, but once I started buffing it out with the 2 ended face/concealer brush (can’t recall the name but it’s an IT brush) it made ALL the difference. I no longer feel like I need to keep experimenting with beauty blenders, “baking” or other brands because this does exactly what I need it to. I wear medium neutral. Because I think seeing is believing I’m attaching a collage. In the top photo the right side has concealer and the left does not. The bottom photos is after my makeup routine is applied (I did brush lightly over my under-eye area with my celebration illumination foundation to blend it all together). Rated 1 out of 5 by Tanner from It cakes up Anyone over 40 with dry skin will not be happy with this product. It’s thick and hard to apply, even after putting primer on my skin and mixing it w/confidence in a cream it looks horrible. I use Your Skin But Better CC+ Cream with SPF 50+ in light medium. what shade of bye bye under eye should I use? i was medium (light medium) in the old packaging what color is that now? I was using the old shade, &quot;Medium (light medium)&quot;. What shade does that equate to now? My skin is warm tone, not cool and I wear light in my foundation. I am confused as to what bye bye under eye concealer color I should buy?? Light ( says it's cool!) or a shade lighter or a shade darker?? i use the rich honey foundation. 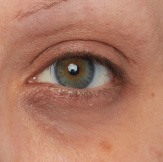 What is the right bye bye under eye color for me? Hi there! Thank you for reaching out to us. We are more than happy to assist you further in finding your shade match in Bye Bye Under Eye. We invite you to Live Chat with us at itcosmetics.com so we can discuss this with you directly! We are available on Live Chat Monday-Thursday 8am-7pm and Friday-Saturday 9am-5pm EST. We look forward to speaking with you! XOXO Tina. I have really deep sitting eyes, higher cheek bones. 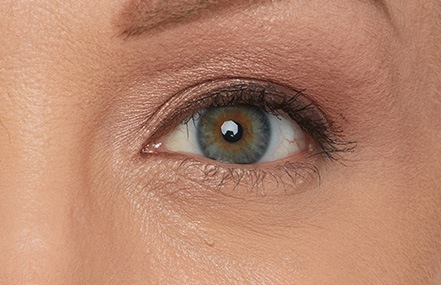 I have natural dark circles that look Greenish/blueish that I cannot seem to ever fully cover What color would you recommend &amp; or how can I best decide. Is this the right product for me? Prior to adding the new shades I used tan. I also had the medium but always defaulted to tan because the medium was a bit too light however the tan is the slightest bit too dark. Is there a shade in the new lines that combines the tan and medium shades? Plus, be the first to hear about new products and special offers.